Remember my obsession with Adagio Teas and their fandom-y goodness? I'm a weeetle bit excited. PLUS (surprise!) DUMBLEDORE!- lemon drops and phoenix ashes- COMING SOON! 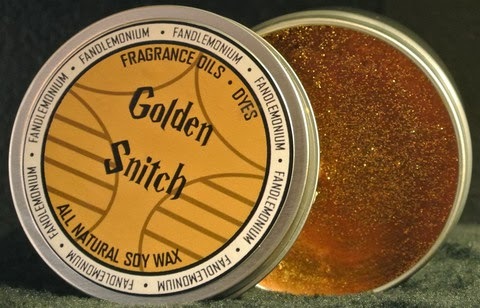 There's also this Golden Snitch in a tin option! It's described as bright, citrusy, and metallic. They forgot magic, for all of these! So, my two greatest loves (Harry Potter and Doctor Who) come together on one website! A more recent obsession of mine is also present- Hello, BBC Sherlock! I loved Arthur Conan Doyle's books growing up and the show is such a great adaptation! These candles, though. They forgot a few ingredients, so I took the liberty of adding them in the parentheticals! They also have Supernatual candles (which I love watching reruns of on TNT, but don't watch avidly. I might have to in order to eventually justify buying these candles. All three just sound like deliciousness! ), assorted tins (Star Wars, HP, Pokemon, The Legend of Zelda and Twilight... we're just going to ignore that one), AND a custom section! Someone please buy one (or all) of these FANdles and let me vicariously live out my love? Laura, I'm looking for the "deliver by apparition" button on their website, but it seems to be down. Alas, if you can't study like/smell like/be surrounded by Hermione, I have another option! Try turning on the "Harry Potter soundtrack" playlist on Pandora- we've been studying to this in my room and it is awesome! 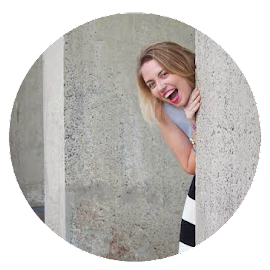 This post is especially written for my dearest blogging buddy, Laura over at The Literary Chic (see her smiling face over in the sidebar?). She is wrestling with mountain trolls (okay, not really. She's reached a big deadline with her thesis- the coolest thesis ever!- which is pretty comparable), so please join me in sending her lots of love? P.S.YOU'RE THE GREATEST, KICK THAT DEADLINE'S BOOTAY! These are so awesome, I understand your struggle of no candles in the dorm, it's enough to make a girl cry! the struggle is so real :'( I am glad we can share the pain though, bearing it alone was too great a task! Ingrid, if you email us your address to sales@fandlemonium.com we'll send you a candle for when you are out of your dorm. Oh my goodness, please excuse me while I fangirl extensively! I'll shoot an email off right away. Thank you!